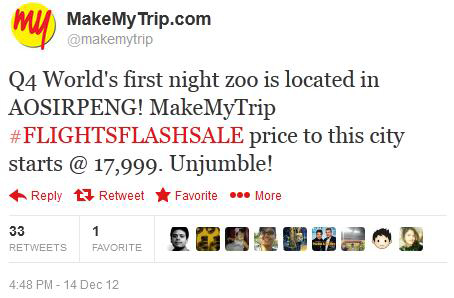 2012 was definitely a turning point for social media as well as eCommerce. Not only did social media found an even wider acceptance as an effective channel for marketing and communication, many ecommerce brands came up with interesting and creative ways to push their products and services. 2012 was the year when brands got better at engaging with their community via impressive visuals and interesting campaigns. While we at BoxMyTalk willl soon come out with a comprehensive report on the Indian Ecommerce Industry’s presence on social media, following is an analysis of highly engaging Twitter activities that Ecommerce brands executed in the recent months. 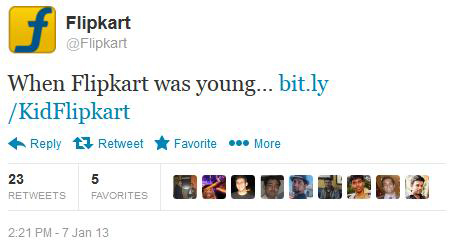 No one has taken to social media better than Flipkart. 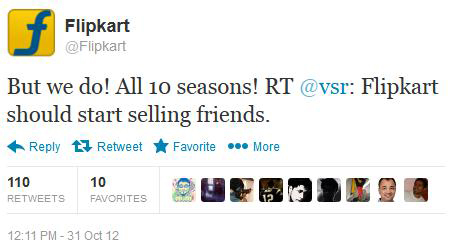 Engaging, friendly and warm, @Flipkart is the handle that upcoming Ecommerce brands should look up to. 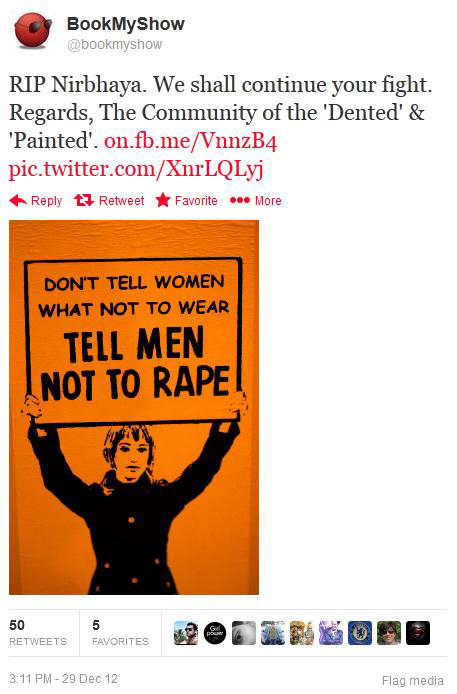 Let us have a look at some of the most engaging tweets from them. Flipkart has mastered the art of sharing the festive spirit in a creative, engaging and eye-catching way. This Rakshabnadhan tweet is a fine example of the same. While the imagery conjures up childhood memories of the brother-sister relationship, the copy – albeit funny- touches one’s emotional core. No wonder it got such an amazing response! There is also a subtle self-promotion by the brand which I am quite sure would have proved greatly effective. By sharing its personal story such as the one below where it talks nostalgically about its past, makes Flipkart come out as a personal brand. Such stories and landmarks resonate with the community as they stop perceiving the brand as a mechanical entity and see it more as a real person. After all, businesses are conducted between people and not logos, right? 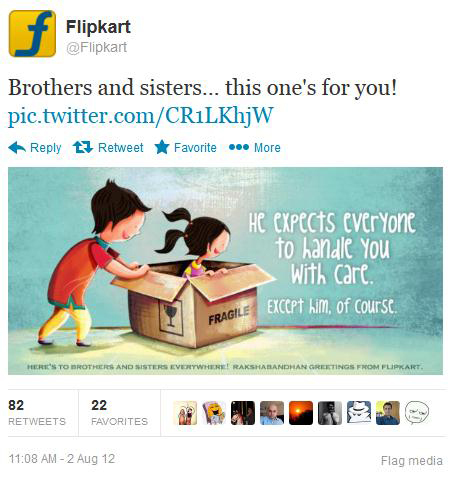 Another feather in Flipkart’s cap – Wit. The team handling their Twitter account not only has a good sense of humor, but also quick witted. 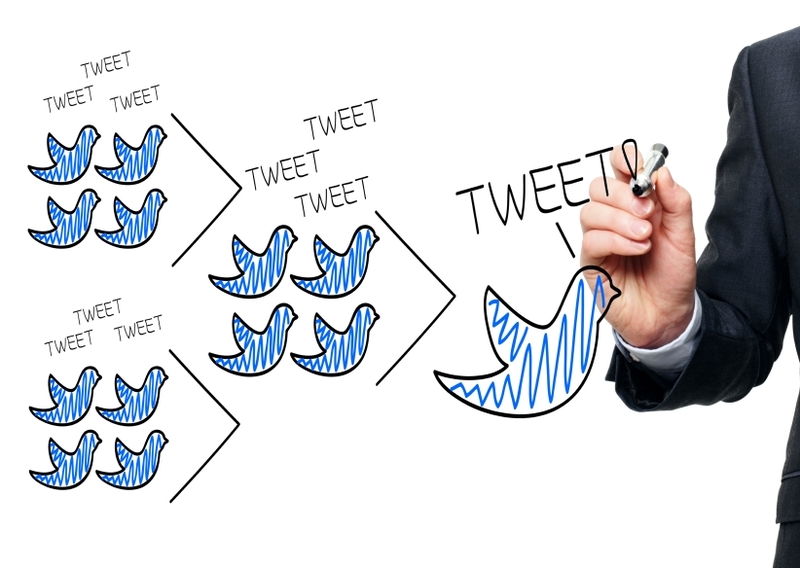 They make sure that tweets are responded in a way that is both engaging and fun! Tapping into a serious issue and joining with the voice of public, BookMyShow came up with an apt message in a visually impactful manner. This voicing of sentiment on a burning social issue struck a chord with its community instantly and the tweet went places. 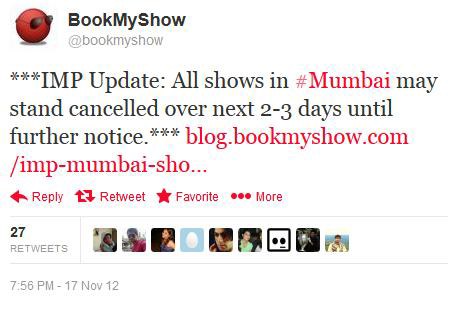 BookMyShow took to Twitter when making an important update about cancellation of shows on the day of a powerful leader’s demise. Since it was a precarious situation in the city, this proactive dissemination of information helped people. I’m sure people would have appreciated such an effort from the brand. 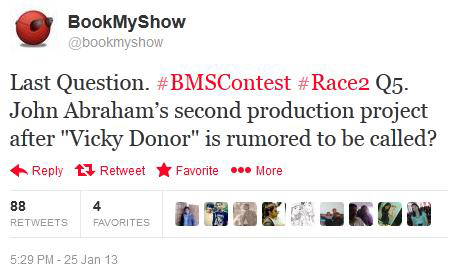 BookMyShow regularly holds contests with the hashtag #BMSContest which sees a good response from the community. Running contests on topics as interesting as movies resonates with its target audience. They manage to get the community together and make the tag trend. 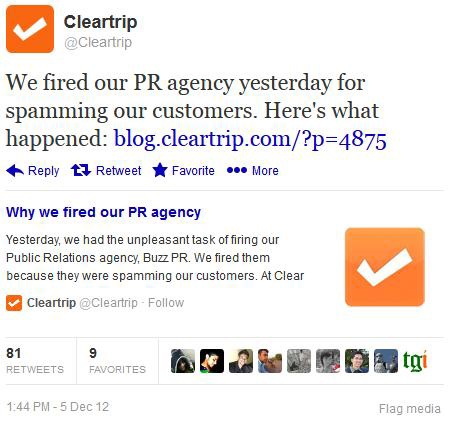 Cleartrip fired the company that was handling its PR and shared the information online with a full disclosure for the knowledge of its customers. This move made the brand come out as transparent and one that upholds the experience of its customers to the highest level. People shared the news among their network because such a move by a brand is unheard of in the Indian business circles. The internet is well aware of the sadness that Internet Explorer 6 was. 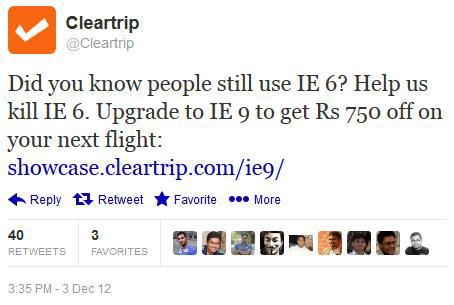 Cleartrip’s brilliant move of asking people to ‘kill’ their pet peeve and move on to a better browser, IE9, was a big hit. 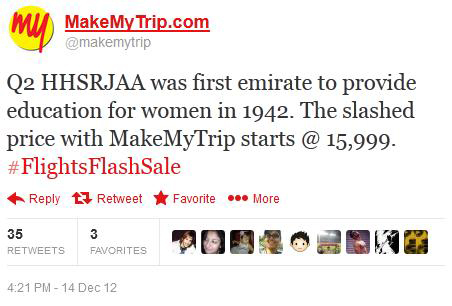 While tapping into the internet savvy community, they incentivised it with an offer for an even better traction. 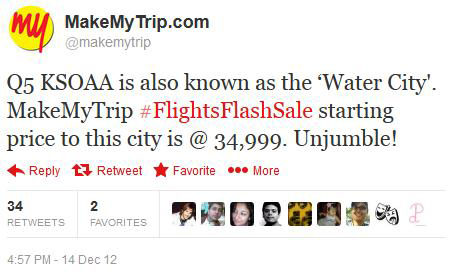 One of the best Twitter campaigns of last year, MakeMyTrip asked their community to unjumble the city names. 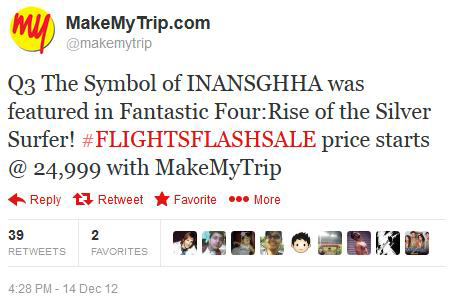 But the masterstroke was the way they integrated their #FlightsFlashSale within the campaign. It would have been better if the campaign was spread over a course of few days but nonetheless, it was a highly engaging campaign. 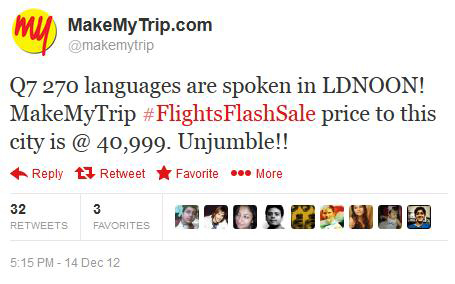 As you can see, Indian ecommerce brands are coming with some fantastic social media activities, which must be lauded. I hope to see more such cool campaigns/activities in the coming days from other brands as well. Here’s to the exciting times ahead. Cheers! Social Media Campaign Review: Fujifilm "Indian Photography League"
Social Media Analyst for BoxMyTalk - a social mailbox for effective monitoring and management of brand communication, developed at Bizense.